According to the Chinese zodiac, 2019 is the Year of the Earth Pig, following the Year of the Earth Dog in 2018. Chinese communities on Tuesday began celebrating the Lunar New Year, an occasion for families to get together for intimate dinners and welcome the last of the Chinese zodiac’s signs, the pig. 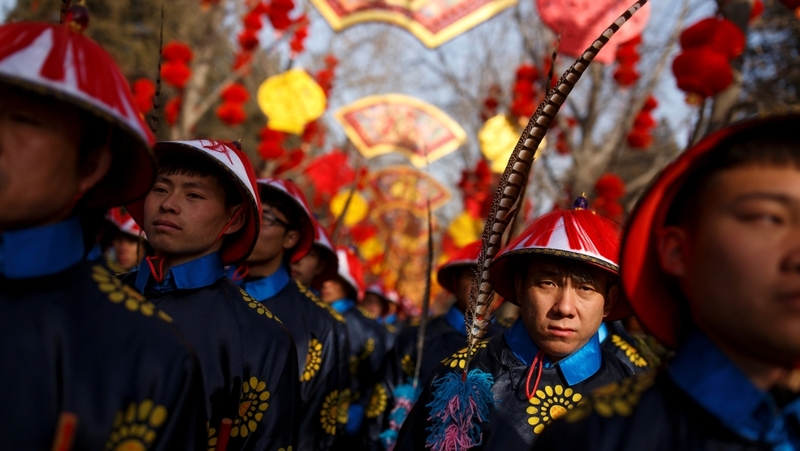 The Lunar New Year is the most important holiday of the Chinese calendar, with hundreds of millions of people travelling to celebrate it with their families in what is the world’s largest annual human migration. In mainland China, authorities were expecting a total of almost three billion trips by car, train and aeroplane in the 40 days surrounding the holiday. On Chinese New Year’s Eve, families hold traditional dinners and watch a marathon televised gala. Children receive red envelopes filled with money for good luck. Events such as traditional lion dances are held in decorated public spaces while supermarkets stock up on traditional cakes and tangerines. Festivities will take place across the globe, from Southeast Asia’s centuries-old Chinese communities to the more recently established Chinatowns of Sydney, London, Vancouver, Los Angeles and beyond. Despite a slowing economy, more Chinese are travelling abroad during the holidays, booking family trips to Thailand, Japan and other top destinations. Authorities were expecting an average of 1.77 million international trips a day this week – an 8.9 percent increase compared with last year. Celebrations in major Chinese cities, including Beijing and Shanghai, were more quiet than usual after authorities last year banned fireworks due to pollution and safety concerns. In Hong Kong, flower markets were filled with residents picking out orchids, mandarins and peach blossoms to decorate their homes – with stalls also boasting a dizzying array of pig-themed pillows, tote bags and stuffed toys. 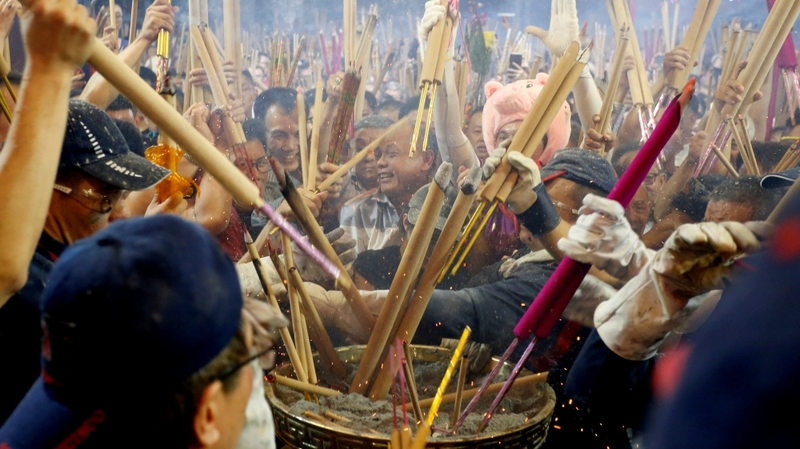 Thousands of incense-carrying petitioners crammed into the city’s famous Wong Tai Sin temple overnight, a popular location to mark the first prayers of the New Year. In Japan, the capital’s famous Tokyo Tower was due to turn red in celebration of the New Year – a first for the city. Parades and lion dances in Western cities such as New York and London were expected to draw large crowds. Taiwan’s President Tsai Ing-wen used her social media accounts to deliver a political sideswipe at Beijing with a message highlighting the island’s democratic credentials and linguistic pluralism. 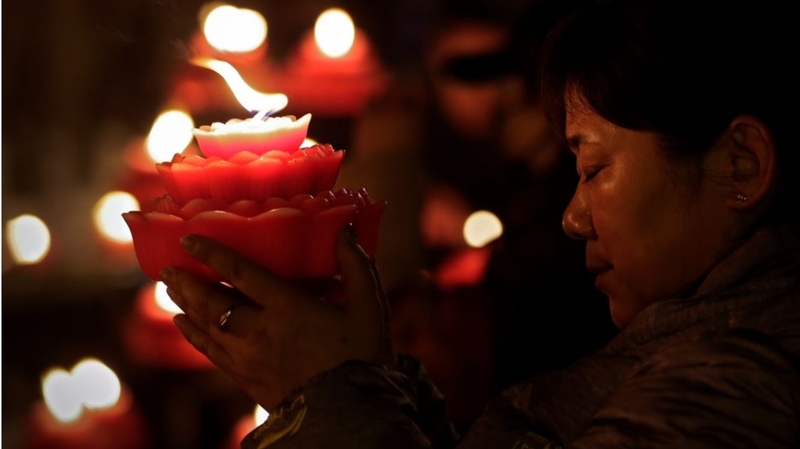 “In Taiwan, we are able to maintain our cultural traditions,” she said in a video in which she delivered the traditional new year greeting in five Chinese dialects: Mandarin, Taiwanese, Hakka, Teochew and Cantonese. China still sees Taiwan as part of its territory to be reunified, despite the two sides being ruled separately since the end of a civil war in 1949. Relations between Taipei and Beijing have had a rocky start to 2019 after Chinese President Xi Jinping delivered a bellicose speech last month describing the island’s unification with the mainland as “inevitable”.